Tampa Bay I-275 Exit 42 Armenia Ave. and Howard Ave. Sign. Photo Courtesy of Yeretzgin Anna Demerjian. 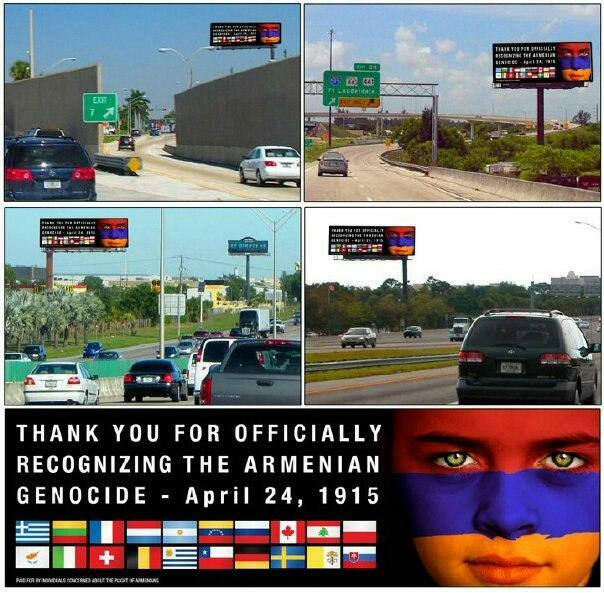 Tampa Bay, FL – Florida, our 3rd largest state, has long been underrepresented when it comes to organized Armenians. Sure, there have been Hye’s basking in the Sunshine State for decades. The traditional Interstate-95 corridor from Boston to Miami sprouted numerous colonies of Armenians from Jacksonville to Ft. Lauderdale. Churches soon followed in Miami and Boca Raton with a smattering of a few mission parishes when the Armenian populations were deemed too small to support a church. 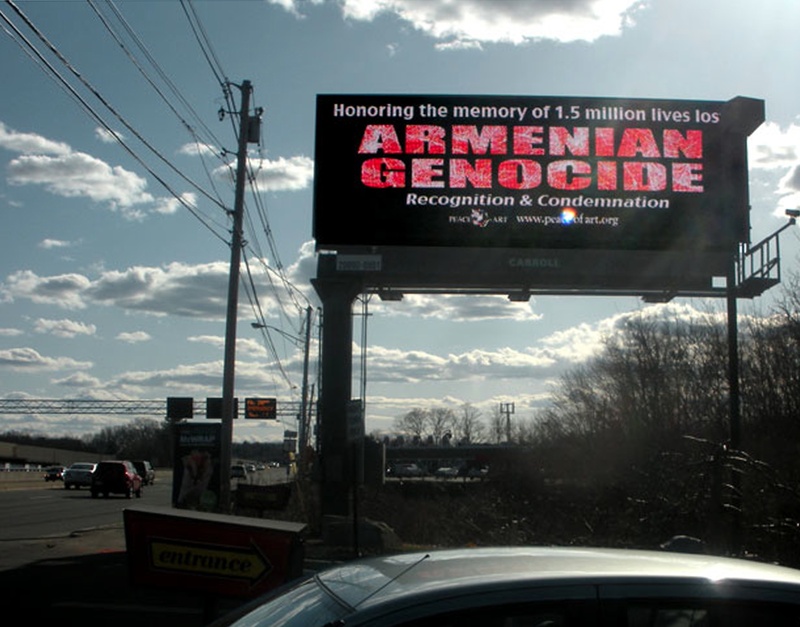 Although Armenians have made their presence known in Florida business and sports (think Garo Yepremian from the undefeated 1972 Miami Dolphins) for years, their numbers are still anemic when compared to Philadelphia, Boston or Detroit. When the western part of the state opened up with Interstate-75 a funny thing happened. There was an Armenian imprint in Tampa that went beyond anything their brothers and sisters could brag about up north. There, in the middle of downtown Tampa was the landmark Armenia Avenue with a sign as big as any on Interstate-75. A familiar name welcomed weary tourist from up north. How? Who was this powerful, rich or politically connected Armenian that made this happen? Unfortunately, according to the local historical society Armenia has nothing to do with the name of a road in Tampa. So how’d we get from A-r-m-i-n-a to A-r-m-e-n-i-a? “Somewhere along the line, either a sign painter messed up, or somebody just kept consistently messing up the pronunciation, and Armina became Armenia,” Kite-Powell said. 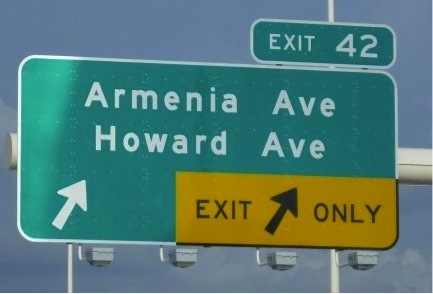 Now for the good news….it’s going to stay Armenia avenue forever. Dr. George Kamajian is a member of the St. Hagop Armenian Church Parish Council and resides in Indian Shores, Florida.